There is not much that Broadway loves as much as a good belter, a good diva, or a good underdog. 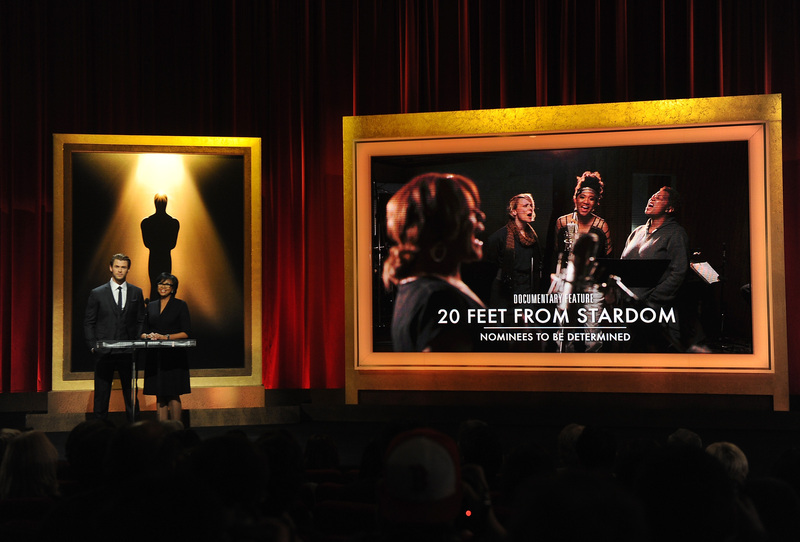 And so it is as if through some kind of kismet destiny (really it was Mick Jagger) that the Oscar-nominated documentary 20 Feet From Stardom is headed to Broadway. It has all of the above, oftentimes within the same person! And wow, I cannot wait. 20 Feet From Stardom follows the lives and behind-the-scenes of backup singers to legendary recording artists, highlighting their lives and their own careers and ambitions. As Jonathan Kiefer of Sacramento News & Review wrote, the film "pays tribute to the background singers who've been so essential, albeit anonymously, to rock 'n' roll history." With the initial documentary and the various adaptations now taking place from it, those stories are becoming less and less anonymous: 20 Feet director Morgan Neville's already working with Mick Jagger on crafting an hour-long scripted TV drama based on the concept, and now they're also working on a Broadway musical. To watch and listen to Morgan Neville’s marvelous portrait of sundry under-sung backup singers, Twenty Feet From Stardom, is to understand how many things Auto-Tune can’t do, foremost among them change the pitch of a person’s soul. The songs have not remained the same. The movie is a hymn to the passed-over, the “colored girls” who went doo do doo do doo and so much more but who couldn’t make (or haven’t yet made) the cosmic twenty-foot leap to fortune and fame. I personally can't wait to see what these adaptations come up with.